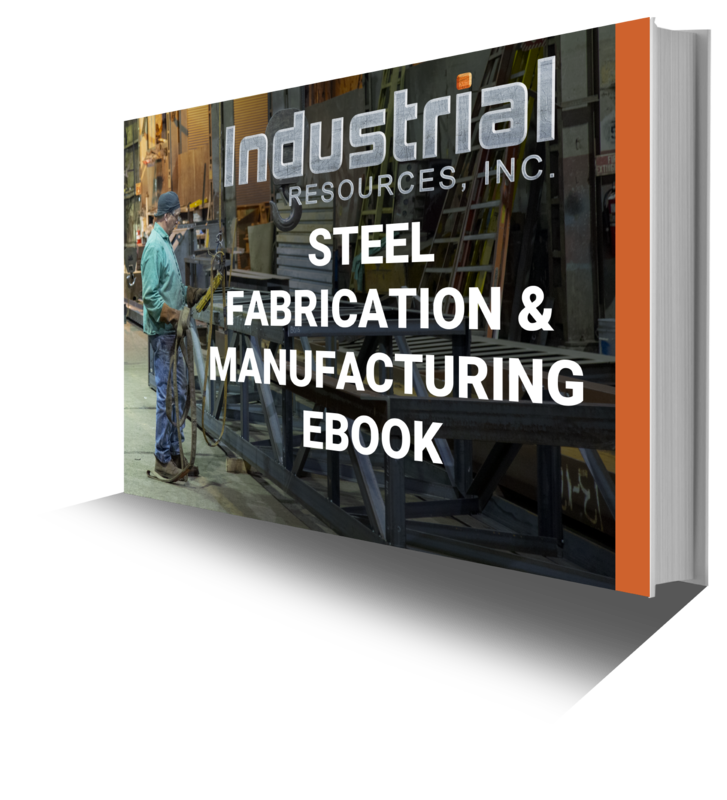 For more than 70 years, Industrial Resources, Inc., has been recognized for its outstanding commitment to the highest quality and safety standards in steel fabrication, engineering and detailing. Our dedication to customer service is the reason so many companies repeatedly choose us for their steel fabrication and erection needs. As an American Institute of Steel Construction (AISC) certified steel fabricator, Industrial Resources, Inc., has the expertise, experience and commitment to deliver quality structural steel and plate work on time, safely and within budget. Our knowledgeable registered structural engineers and designers can provide or assist with the necessary engineering and detailing and have years of experience meeting the needs of our customers. Our welders and welding procedures are certified for each type of weld performed. We have registered professional mechanical, civil, structural and electrical engineers on staff that have extensive experience with industrial design. In addition to making drawings, our expert designers and CAD operators understand what it takes to make a project a success. Our team of highly experienced detailers work closely with our engineers to prepare structural details and erection plans that assure each individual column, beam, brace, truss and connection meet all required standards and can be efficiently assembled and erected. It starts from selecting, interviewing and evaluating the suppliers of the material to ensure that they are providing quality material. When that material is shipped, it comes with the Mill Test Report. The records of the report are kept and tied to the records of the sales order number. This then has to be tied to the purchase order number that they were ordered under. Once the material is delivered, it has to be visually inspected by the receiving clerk. After the inspection, they will fill out a material receiving report to determine and sign that the material was in fact conformant to what was ordered. Then, those records are scanned and kept in the system that is required by AISC. After the steel is picked up outside, all the equipment that is used to run steel through the fabrication process has to go through a maintenance and calibration process. Then the material is taken from the floor of the fabrication process to the blasting process, where it is prepared for painting. According to painting specifications, there is a certain millimeter of removal that you have to take off to get to a white blast. Industrial Resources, Inc., is often called upon by our customers to fabricate replacement components in emergency situations. We understand that downtime is extremely costly and will work quickly to get your operations back up running smoothly and as soon as possible while adhering to the highest standards. We are experienced working on time-sensitive projects, and have the facilities and expert manpower to design, fabricate and erect complex industrial structures quickly and efficiently. An unfortunate incident occurred when an ocean ship crashed into a loading pier and impacted the 7,000 TPH ship loader rear tripper support girder at the CSX Baltimore Port outside of Baltimore, Maryland resulting in extensive damage. 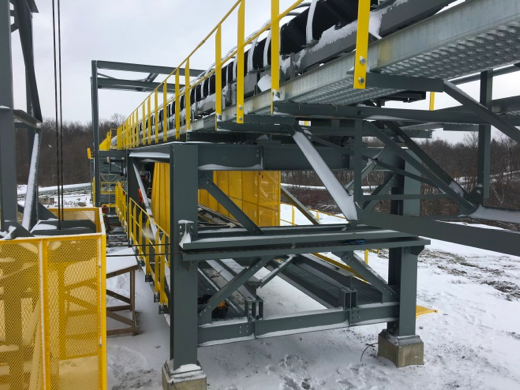 McLean Contracting contacted Industrial Resources, Inc. to assist them in evaluating and repairing the assembly which had to be performed in an expedited manner so the CSX loading facility could be back into operation. 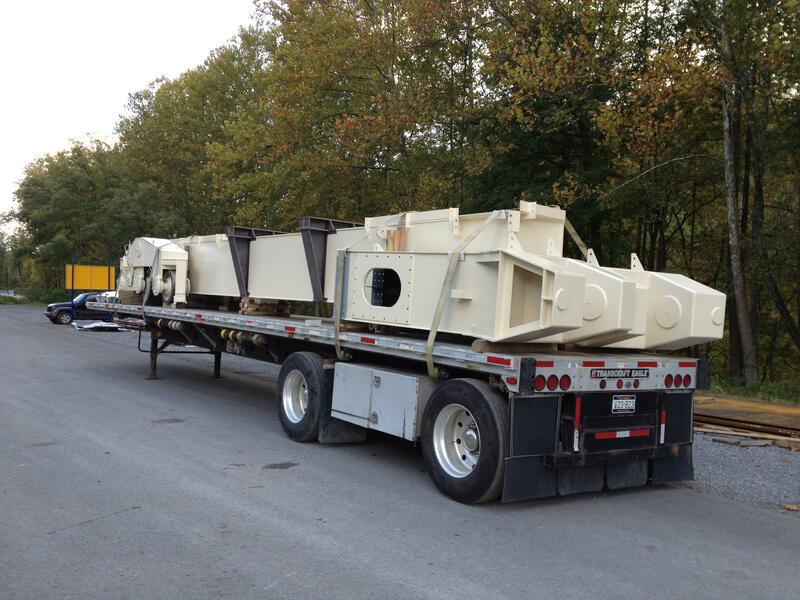 The assembly was delivered to our Fairmont Fabrication Facility where we conducted an evaluation of the assembly to determine the extent of the damage and to determine what had to be done to correct the damage and get CSX back into operation. The trunnion wheel assemblies were thoroughly inspected utilizing (NDA) Non Destructive Testing and found to be in good condition. 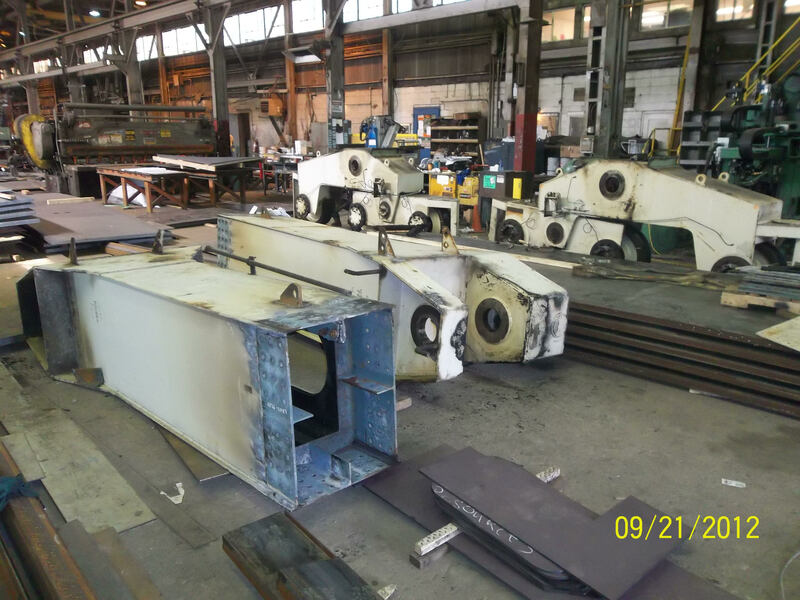 However, the 38" long tubular box girder was damaged and twisted beyond being repaired in a timely manner. 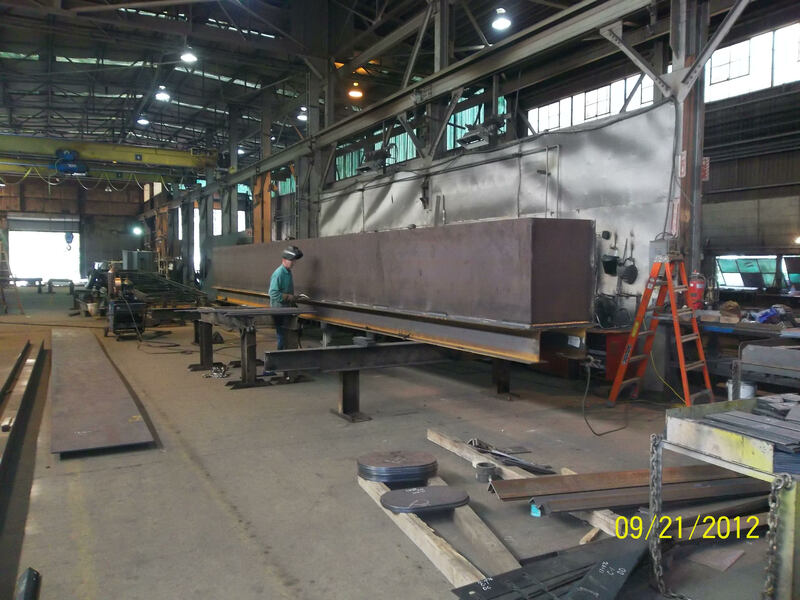 It was determined the most cost effective and timely solution was to fabricate a completely new box girder. 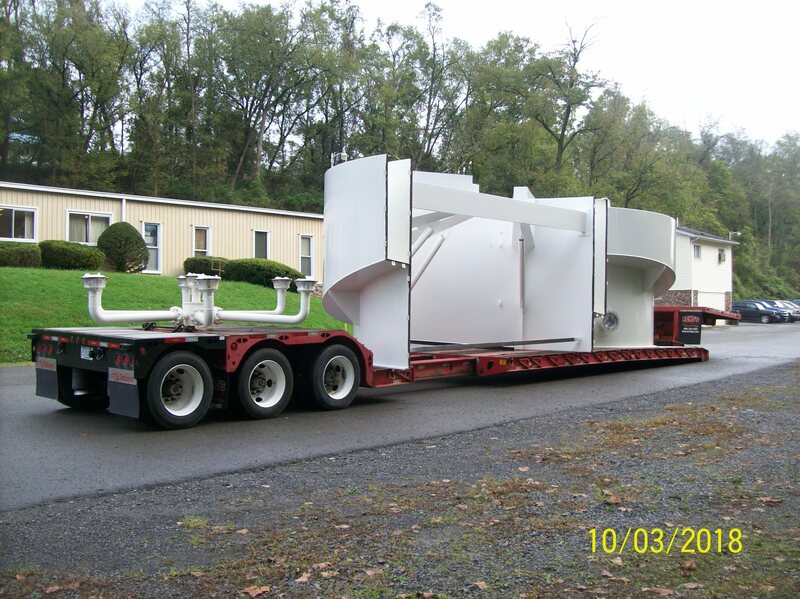 We detailed, manufactured and reassembled the wheel assemblies to the girder as a completed unit and shipped it back to Baltimore for installation. The customer was very pleased with the quick response we provided and the quality of the repair work to get them back into operation. Many times, there are often issues that arise when multiple contractors are hired between engineering, fabrication and installation. Coordination efforts are up to the responsibility of the owner’s management staff, who may not have much contract experience. Benefits of hiring a turnkey engineering firm are that the project is under one single contract. A turnkey company will be aware of a project’s needs from an engineering standpoint, a fabrication standpoint, as well as the installation standpoint. 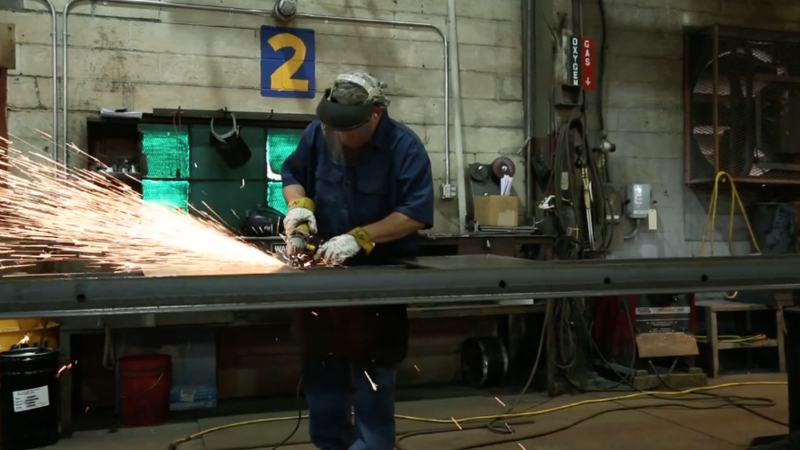 To learn more about why it’s important to hire a turnkey engineering company for your steel fabrication project, click here. 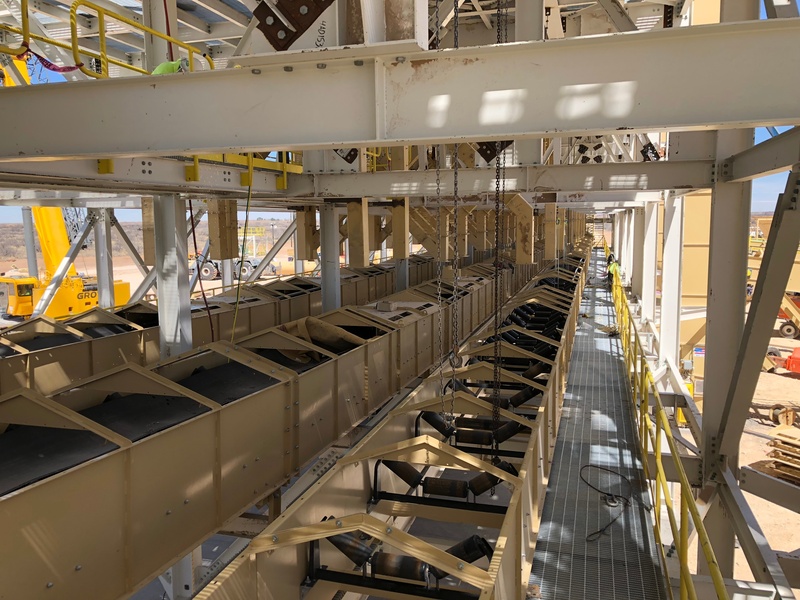 On August 8, 2017, Mountaineer Resources, Inc., a sister company to Industrial Resources, Inc., was contracted by Turnkey Processing Solutions (TPS) to assist in constructing a turnkey frac sand screening facility for Black Mountain Sand’s Vest Site near Kermit, Texas along with another location called the Eldorado Site in Winkler County, Texas. 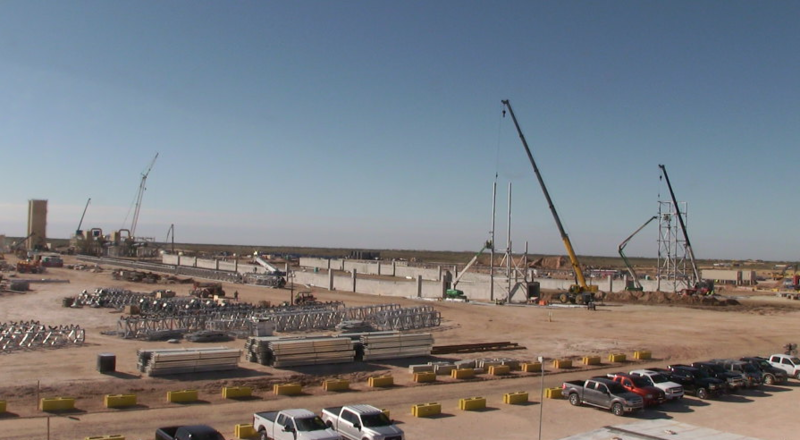 These facilities will produce a high quality, cost effective regional sand that will be used within the oil and gas industry. Read more about the project here. Allegheny Mineral--a leading supplier of aggregates to the Pennsylvania market-- certainly understands these economics, and for the past 20 years, has been using a 3,100 ft. long, 42-inch conveyor to transport crushed limestone from an existing pit primary crusher to their existing processing plant and storage yard at their Slippery Rock Quarry in northwestern Pennsylvania. Industrial Resources, Inc., was engaged to develop a preliminary engineering design report and to assist with the necessary planning to further define the proposed conveyor project. Read more about the project here. 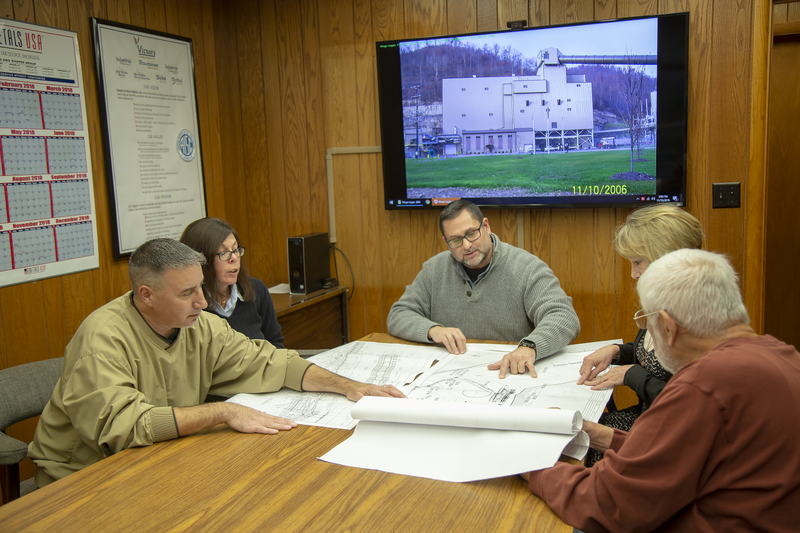 Visit our 37,440 square foot structural steel fabrication shop and 11,200 square foot heated grit blasting and painting facilities located in Fairmont, West Virginia. 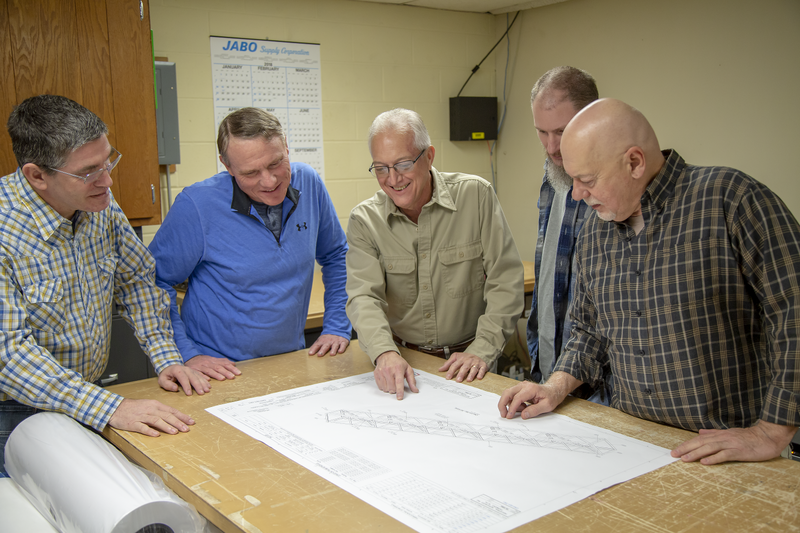 Meet our expert fabrication team—many of whom have 30+ years of experience fabricating industrial structural steel, trusses, plate work and other large complex fabrications. 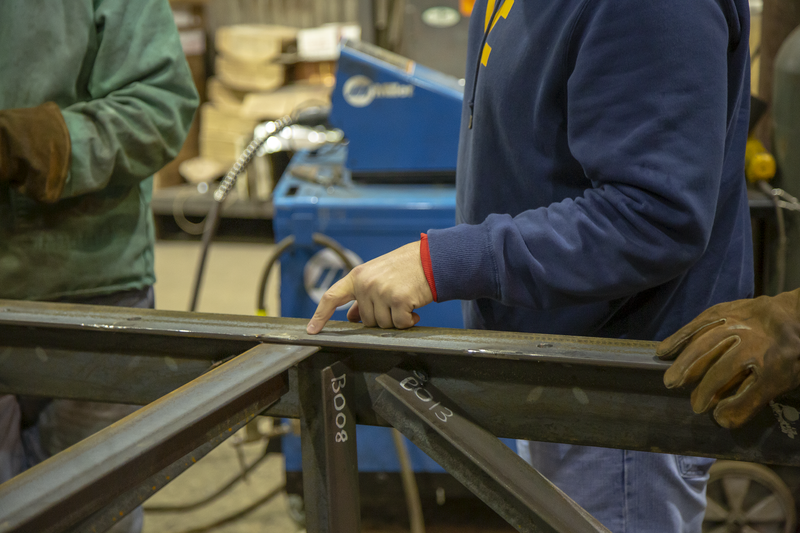 Speak with our full-time welding inspector, detailers and professional structural engineers and see for yourself the unmatched versatility and unparalleled commitment to customer satisfaction that our company brings to each relationship.